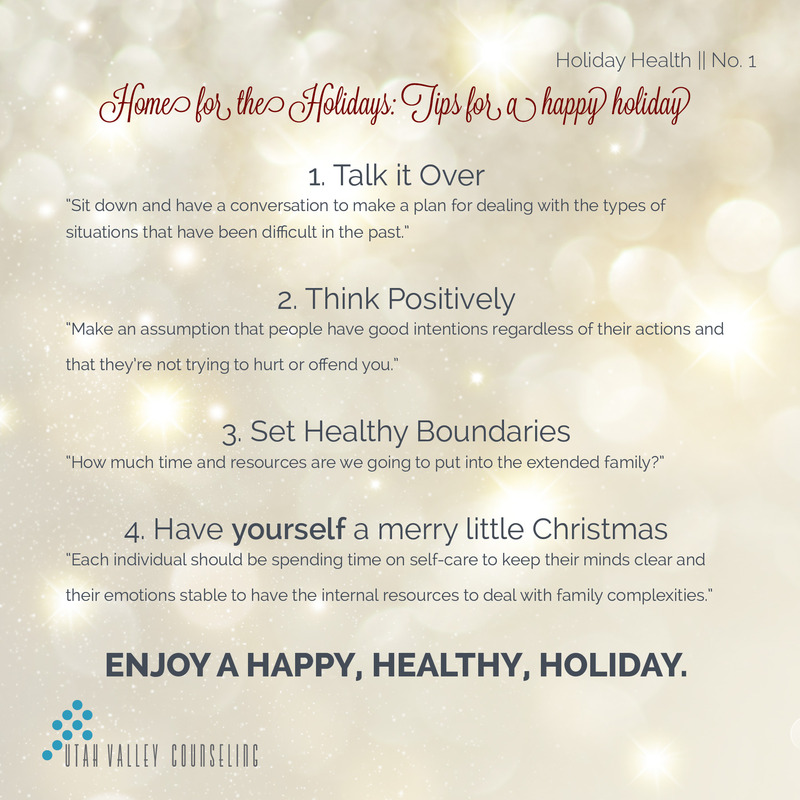 Clinical Director of Utah Valley Counseling, Dr. Adam Moore, is featured in a UtahValley360 article offering helpful tips for a happy holiday season. Do you find yourself dreading family parties? Worried about how to deal with stressed family relationships around the holidays? Many families struggle to have a completely stress free holiday experience. But there are steps you can take to alleviate some of the stress and create a more positive holiday experience for you and your family. Excerpt featured below.